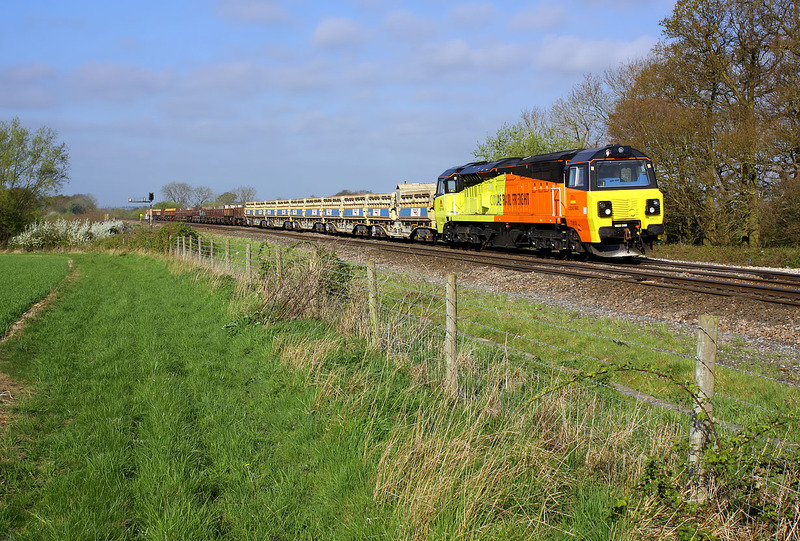 70805 approaches the site of Uffington station on 16 April 2014 with the 6M50 07:55 Westbury to Bescot engineers train. Two things were threatening to spoil this picture. A rogue cloud that the Met Office had not predicted (look in the background!) was just about to cover the sun, and a HST was also approaching from the opposite direction.